With Tesla making the furthest stride so far into the world of all-electric vehicles, entering 2018 the other car brands are hot on their heels. BMW most notable with their i3 and i8 models. And Volvo with their Polestar division. And Jaguar have entered the fold this evening, with their all-new and all-electric I-PACE. 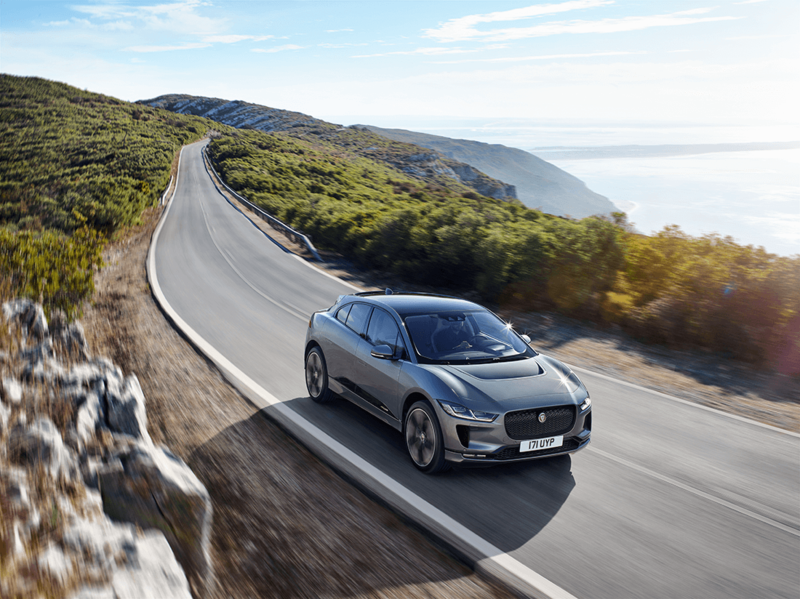 The five-seat SUV boasts a 90kWh Lithium-ion battery using 432 pouch cells, which delivers a range of up to 298 miles (WLTP cycle). You’ll be able to achieve a 0-80 percent battery charge in 85-minutes using DC charging (50kW. 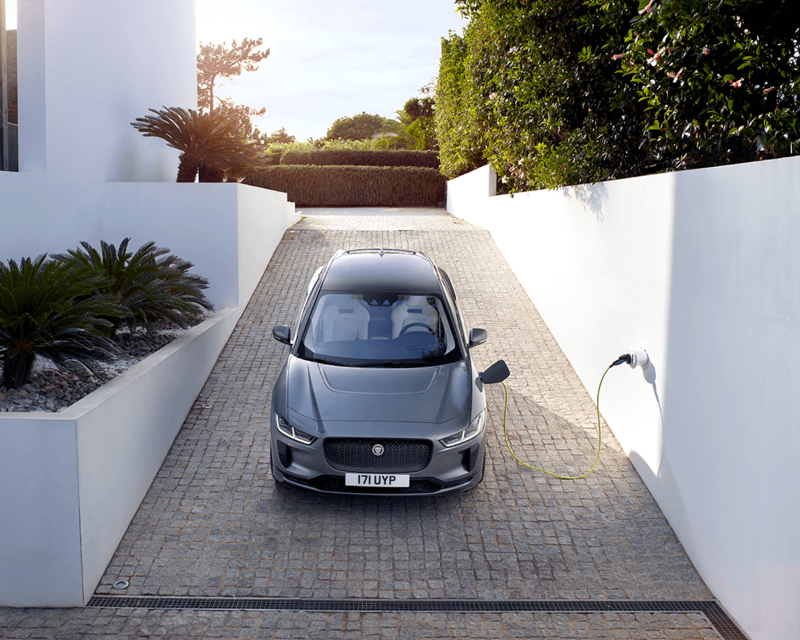 The Jaguar I-PACE will be fully compatible with DC Rapid Chargers (100kW) as the technology is rolled out across the UK, which will enable a 0-80 percent charge in just 40 minutes. Home charging with an AC wall box (7kW) will achieve the same state of charge in just over ten hours. This is obviously made for overnight charging. 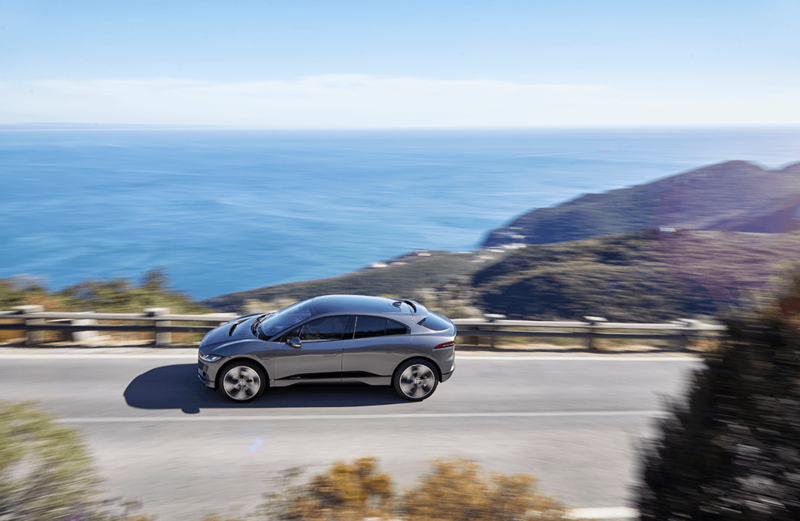 Performance wise, two Jaguar-designed electric motors – which feature driveshafts passing through the motors themselves for compactness – are placed at each axle. These produce a combined performance of 400PS and 696Nm, and all-wheel-drive, all-surface traction delivering 0 to 60mph in just 4.5s. This combined with a 50:50 weight distribution and a low centre of gravity means agile handling. If there’s one thing we’ve learned with the reincarnation of Jaguar, they know how to design a car. 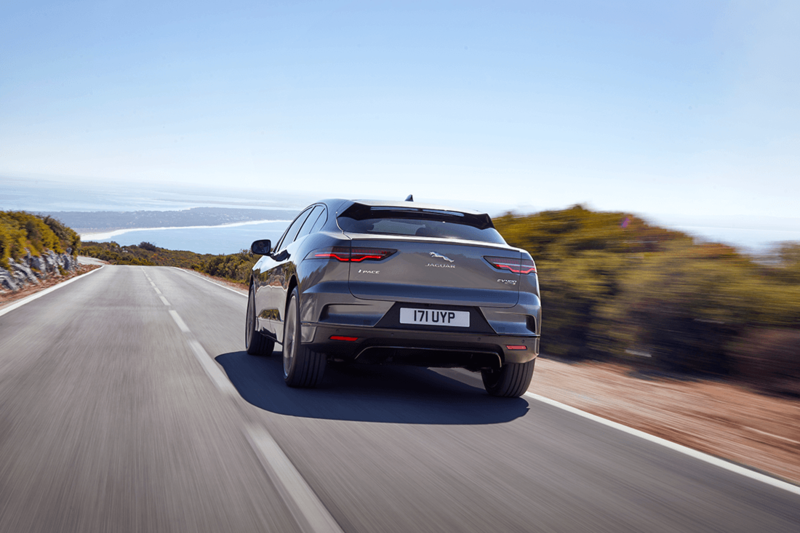 Take a look at Ape’s photographs of the F-PACE or the F-TYPE – both seriously handsome cars, and the I-PACE is no different. A sleek, coupe-like silhouette rumoured to be influenced by the Jaguar C-X75 supercar with a short, low bonnet, aero-enhanced roof design and curved rear screen. This cab-forward design contrasts with a squared-off rear. Inside is pretty special too, with an optimised space for passengers alongside sophisticated materials – including the option of a premium textile Kvadrat interior. It’s a mid-sized SUV but the design and EV powertrain means interior space is comparable to large SUVs. In the rear for instance there is legroom of 890mm while, with no transmission tunnel, there’s a useful 10.5-litre central storage compartment. In the rear, tablet and laptop stowage is found beneath the seats, while the rear luggage compartment offers a 656-litre capacity – and 1,453-litres with seats folded flat. 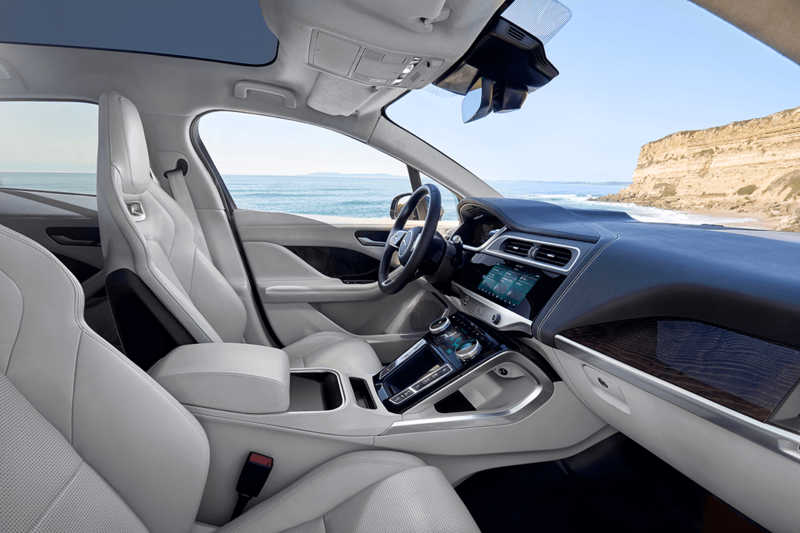 As you’d expect, the I-PACE is connected up to the hilt – most impressively; its Touch Pro Duo infotainment system which uses a combination of touchscreens, capacitive sensors and tactile physical controls. There’s a new EV navigation system too, which assesses the topography of the route to destination and insights from previous journeys, including driving style, to calculate personalised range and charging status. 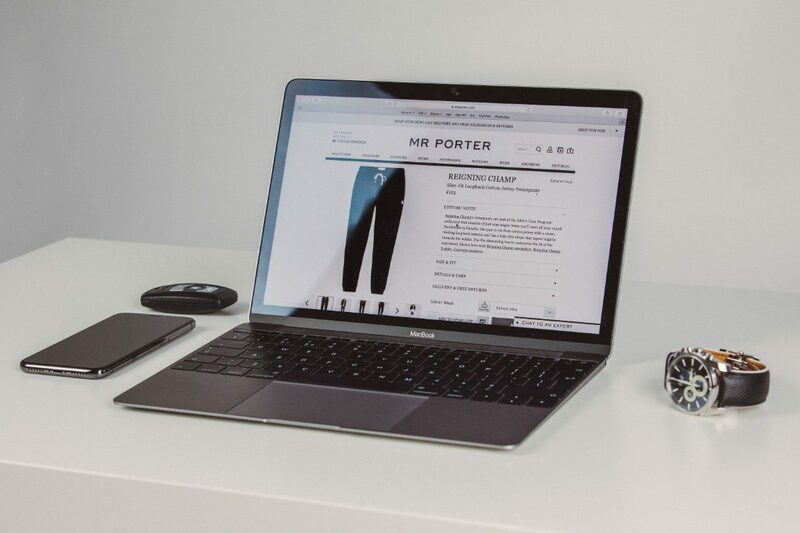 You’ll also get Amazon Alexa Skill, meaning owners will be able to ask an Alexa-enabled device for information held in the Jaguar InControl Remote app. For example: Is my car locked? What is the charging level? Do I have enough range to get to work? It’s hard to argue with Jaguar’s all-electric offering, both performance and looks wise, a stellar effort. And as I predicted in my Tesla piece, when the traditional car brands get on board with all-electric, which car you buy next when considering all-electric won’t be a decision based on Tesla alone. It’ll be based on the car brand you’ve had an emotional connection with your whole life. The rest just need to hurry up. 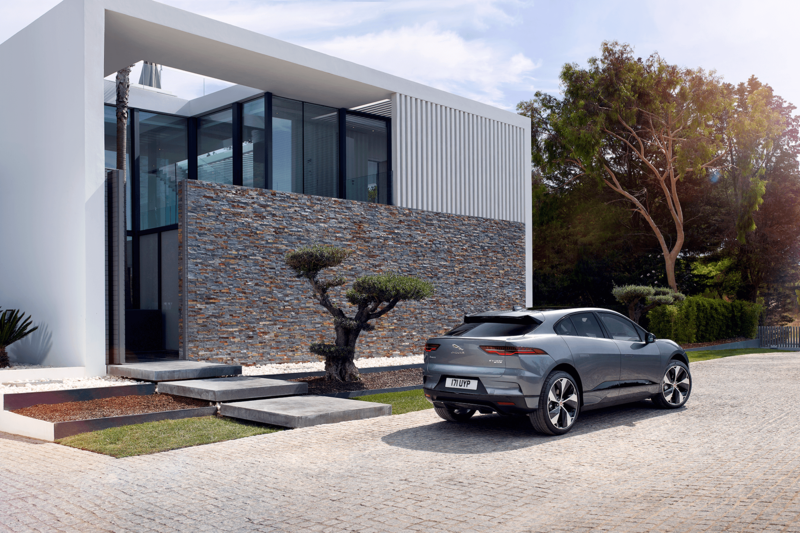 The Jaguar I-PACE is available to order now from £63,495 in the UK (excluding government incentives).